The customization and adjustability factors are probably what attracted you to SnoreRX in the first place. You have likely read or been told that these features are beneficial, but do you really understand what makes them so great? Below are a few benefits you can look forward to from these two characteristics. 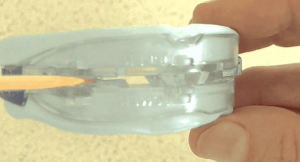 Using the boil-and-bite method, you are able to leave an impression of your teeth in the softened trays. There are actually a few benefits of doing this. Makes the snoring mouthpiece more comfortable. Provides a more secure fit, so your MAD stays in place all night. Reduces the risk of tooth movement, which is occasionally reported with some mouthpieces. Torsion is distributed over multiple teeth, so one or two don’t end up with all the pressure. 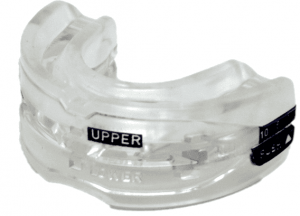 As you know, SnoreRX allows you to make incremental changes to the lower jaw position of the mouthpiece. Not only does this provide maximum comfort; it increases effectiveness. Interestingly, these are not the only benefits though. Since the Jaw Advancement Calibrator offers 1 millimeter changes in the lower jaw positioning it ensures against temporomandibular joint disorder. This very essential joint hinges your jaw to your skull in front of each ear. If you injure this joint, you can experience tenderness in the face, neck, shoulders, and ears. You may hear a popping or clicking sound when you move your mouth, and you might experience difficulty chewing and discomfort swallowing. Some even experience headaches, toothaches, dizziness, hearing problems, ringing in the ears, and neck aches. Since SnoreRX allows for such tiny changes in positioning, you are never at risk of having to hold your mouth in a position that is slightly uncomfortable. A tiny bit may not seem like much, but when your mouth is in that position for eight hours it can be a big deal. Learn more about the pros and cons of SnoreRX with my SnoreRx Mouthpiece Review.